The guys at Teehan+Lax have released this awesome cool hyperlapse video using Google Street View and their own developed tool which allows you to do just the same. Sweeping across America, the video takes you on a beautiful and cinematic journey of lines and activity, you can see the dissolution of clouds, airplanes flying by, soaring skyscrapers, low lakes... 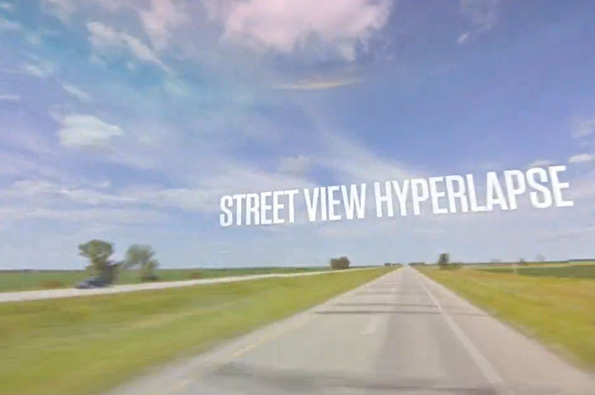 This video definitely made me go WOW, and captures the huge opportunity that Street View provides both for function and for pleasure.